Someone is hell-bent on killing Detective Simms of the Pinkerton Detective Agency. While investigating a clutch of brutal murders, Simms is dragged into a life-and-death struggle with a bunch of desperadoes, numerous Indians, a gunfighter and a double-crossing U.S. Marshall by the name of Dixon. This will not be the easiest time of his life, nor the most peaceful. By the end of it, a lot of people will end up dead. All Simms needs to do is make sure he isn't one of them. 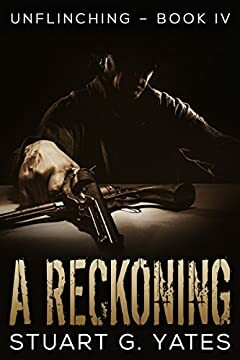 A Reckoning is a standalone novel and can be enjoyed even if you haven't read other books in the series.